One of Texas' classics, Memorial Park dates back to the 1920s when John Bredemus utilized work crews from the Civilian Conservation Corps to build what was one of the nation's best courses at the time. Jimmy Demaret, Dave Marr, and Tommy Bolt learned the game here, and the Houston Open was hosted at various times during the 1940s,'50s, and '60s. Amazingly, the course Houstonites refer to as "The Old Grand Dame" became neglected over the years, with storms and disease wiping out trees and a general lack of care taking its toll. 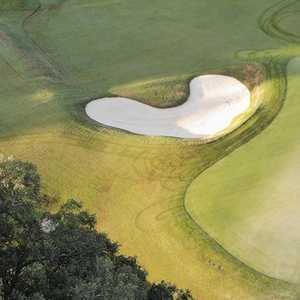 However, in the 1990s the city partnered with several private companies to infuse $4.5 million into renovating the course and expanding the clubhouse. Pines and oaks line the generous fairways and the large greens are of average speed. The best hole is the scenic No. 15, a 180-yarder that plays over a rock-framed pond. Note that the course is closed on Tuesdays, and on Mondays, Wednesdays, and Thursdays, the course closes after 1:30 PM because the course sanctions that time for high schoolers. Getting there : Go west on Memorial Dr. past Westcott St. into Memorial Park (just west of downtown). Turn right at the first entrance inside the park.